Eating right has never been as easy, right? Well, yes, but it can also be confusing – people are inundated with information about what they should be eating and why. With so much advice, it can often be overwhelming and a case of just too much information. That’s where Clean Cut Meals stepped in, a fresh food delivery service providing healthy portion-controlled meals delivered to your door. 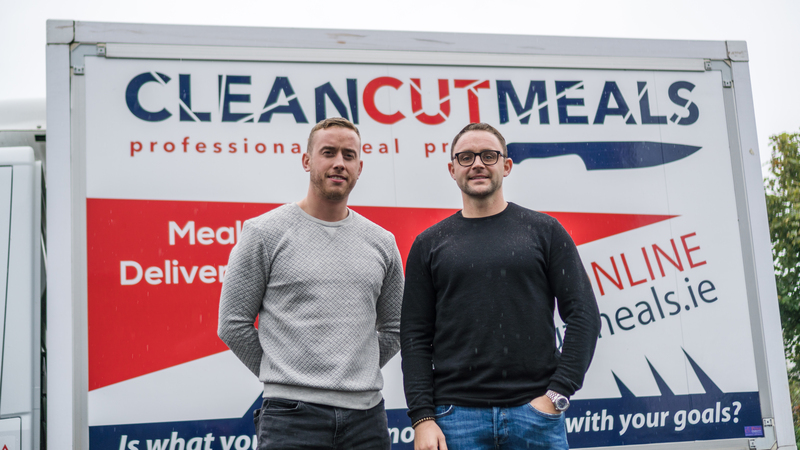 The business was started by two Galway lads, Micheal Dyer and Conor McCallion, who created the brand out of a drive and a desire to run their own business and with a background in food and commerce. The idea behind Clean Cut Meals was convenience – no one has time to be prepping food, weighing out the correct portion sizes and wondering if they are really eating a balanced diet. The founders themselves knew the time that goes into this with a keen interest in their own wellness, health and overall nutrition. “You could lose hours each week, shopping, prepping, cooking and as well making the decision about what you actually want to eat. We had travelled to America and had seen first hand how these healthy, fresh produce delivery businesses were really a strong business model and lifestyle choice for people,” explained Micheal. Just over four years ago Clean Cut Meals started in a home kitchen cooking for friends and family, now in 2018 it has expanded to have fed over 50,000 customers and distributed over 500,000 meals across the 32 counties. It has been in a constant state of expansion, going from a home kitchen to a commercial kitchen to the Clean Cut Meals home in a state of the art facility in Clarinbridge. A key area which Clean Cut Meals focused on to grow their business, primarily because of their age and secondly, they had no finances for huge marketing campaigns, was through their own social channels. Facebook and Instagram have been two of the main contributing factors for the brands success. Starting a Business Facebook Page was Clean Cut Meals first introduction to the world of advertising. “We had no website, we had no money we had spent all our funds on produce to make the food. Facebook and Instagram were huge for us starting out and still are. “The first week we had over 3,000 Likes on our page and from that we had 24 orders, in terms of conversion rates we know this is not great but this was the world to us. “We have now gone fully ecommerce through our own website and from the 24 first orders to now 50,000 well those stats we like,” said Conor. What started with Conor and Micheal has now grown to a team of 10 staff who are all vested in what they are doing. Clean Cut Meals Chefs lifestyles are key to a very good work life balance, working 5 days a week, no evenings and always knowing the orders they have to do, there is a constant flow to the life in their kitchen. “It has gone beyond just a business for us and we strive to help people better their lives, address weight issues and help people reach their goals. We are only getting started!! Producing healthy and affordable meals is our main priority and simplifying a healthy and happier lifestyle is our goal, explained Conor and Micheal.